The Surgical Services program at Royal Jubilee and Victoria General hospitals performs nearly 16,000 inpatient surgeries every year along with over 37,000 outpatient surgeries. The thousands of people in our community who require surgery every year count on our hospitals for expert care and equipment. Your targeted donation supports our surgical teams with technology that helps patients have improved surgery outcomes and faster recuperation. Patients in Surgical Services benefit from the most innovative equipment. As they prepare to undergo a possibly life-altering procedure, they can trust our Surgical Services team to do their finest work with the latest tools. Operating rooms are the heart of Surgical Services. Together, our hospitals have 26 operating rooms for specialized procedures including cardiac, vascular, orthopedic, plastic, pediatric, trauma, urology, neurosurgery, and ophthalmology. 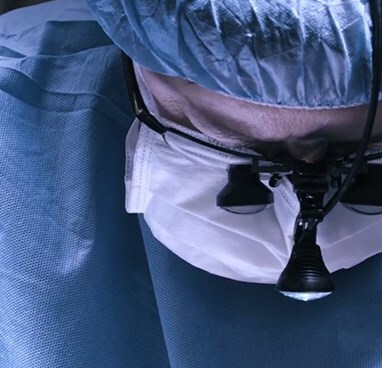 More and more, surgeons use using state-of-the-art technology, such as minimally invasive surgical equipment that reduces pain and complications, and speeds up recovery. Over the past decade, our hospitals have experienced a quiet revolution in care. Surgical teams have introduced a number of more sophisticated and less invasive procedures, which, in turn, have shortened recovery times, decreased hospital stays and improved patient outcomes. These ground-breaking techniques have allowed our surgeons to offer complex procedures and keep patients close to their loved ones. Today, 98% of all surgeries can be done here on Vancouver Island. These leading-edge procedures significantly improve patient outcomes. To ensure our surgeons can advance this revolution in care and continue to offer complex procedures not previously available here at home on Vancouver Island, our hospitals need to be equipped with the best surgical equipment. The success of a surgery relies not only on an expert team but also on first-rate equipment. With your donation to surgical services, you help ensure our surgical teams have the tools they need to do their best work. In 2016, our donors came together to fund 72 pieces of advanced surgery equipment for the operating rooms at Royal Jubilee and Victoria General hospitals.